Our shared vision is for every child to become a successful, independent, resilient, lifelong learner, who can achieve and grow in a nurturing and creative environment prepared for our ever changing world. The ethos and values of the school underpin all that we do. We believe that having a strong sense of and understanding of community, as well as a deep emotional awareness, prepare children for life and supports their development as successful learners. Engages with, listens and responds to children’s suggestions, opinion, needs and requirements. In September 2015, we introduced our children to the 5 Rs, 5 learning behaviours that we want to increase to help our pupils to become highly successful learners. Resilience – pupils don’t give up when something gets tough. 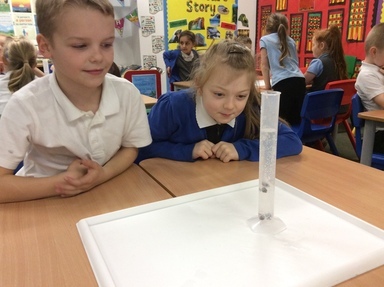 Responsibility – pupils taking responsibility for their own learning. Resourcefulness- pupils thinking about what else can help them to learn. 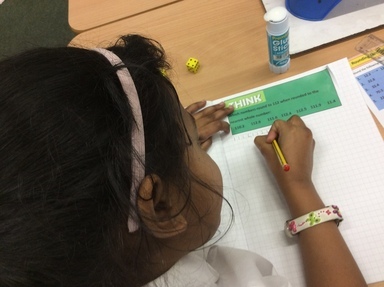 Reasoning- pupils stopping and thinking about how to do something. Reflective – pupils learn from experience and use feedback to help them improve. These 5 Rs demonstrate the qualities that all of our pupils aspire to demonstrate. At Barley Mow Primary School we promote true British values in all that we do. We encourage our children to be creative, unique, open-minded and independent individuals, respectful of themselves and others, in our local community and the wider world. The breadth and balance of our curriculum and ethos promotes life in modern Britain. We work hard to nurture children so they grow into safe, caring, democratic, responsible and tolerant adults who make a positive difference to British society and the world. Our PSHE, Citizenship and SMSC work adds a valuable dimension to all this work. We teach pupils how they can influence decision making through the democratic process by giving them opportunities to vote on key decisions that affect them. For example, pupils select pupil’s voice representatives for our School Council through a democratic vote. We work hard to develop an understanding of our democratic process. We involve children in the running of the school by giving them positions of responsibility including Buddies, Head girl, Head boy and prefects. We firmly establish how pupils can distinguish between right and wrong, both through everyday interactions with pupils as well as in sharing stories, fables and other literacy materials. We help children respect the law and the basis on which it is made by showing how rules help communities to operate safely and fairly as well as protecting the most vulnerable in society. Visitors like the police and fire service inform children of the age of criminal responsibility and how to behave appropriately in society. Children develop their own code of conduct through their classroom rules and encourage children to be courteous and respectful to adults by keeping doors open etc. We implement a strong anti- bullying message and involve children in producing our anti bullying policy. We also hold an anti- bullying week every year in school. We have buddies to support children at playtime and children who they can go to for support. Pupils are encouraged to know, understand and exercise their rights and personal freedoms safely- for example through our E-Safety lessons in computing and PSHE lessons. 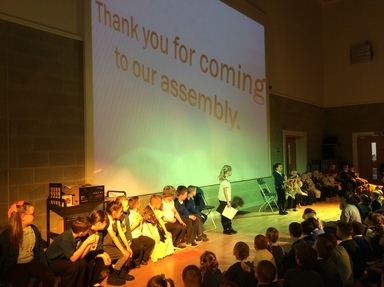 We challenge stereotypes through our assembly themes. We aim to provide children with the freedom to make certain choices and take self- chosen opportunities in school. We pride ourselves on modelling positive relationships with our children. Children actively support a wide range of charities- not only through fundraising but a real appreciation of the work the charity is needed to do. Our children are tolerant and respectful of each other and adults in the school. They are polite and support each other. They are supported well and they have opportunities to talk to others about their concerns with worry boxes, drop in times to speak to staff. We challenge any prejudicial or discriminatory behaviour through discussions and use of illustrative material in assemblies and lessons. We discuss the differences between people and their beliefs- for example differences in faith, ethnicity, disability, gender and difference in family situation- through our RE and PSHE lessons and broader curriculum work. In this we seek to enhance our pupils’ understanding of their place in a culturally and racially diverse society. Ability to demonstrate skills and attributes that will allow them to participate fully in and contribute to life in modern Britain.